As Amanda Daly was in the thick of her master’s in psychology at ACU, the San Diego native was unsure of the direction her life should take after graduation. She considered a Ph.D., but ended up ruling it out. She also didn’t like the idea of settling into a job after graduate school. She felt a stirring that was calling her to seek out something less traditional. Then she found out about ACU’s Global Apprenticeship Program. GAP partners students with missionaries and ministries around the world for service terms from six months to two years. Daly knew GAP would expose her to the experiences she had longed for. “I loved the idea of doing something that matters somewhere vastly different than what I was used to,” she says. Amanda Daly is completing a 13-month term working with an anti-trafficking organization in Cambodia. “We both stared at each other in astonishment because he was just as surprised as I was,” Daly says. 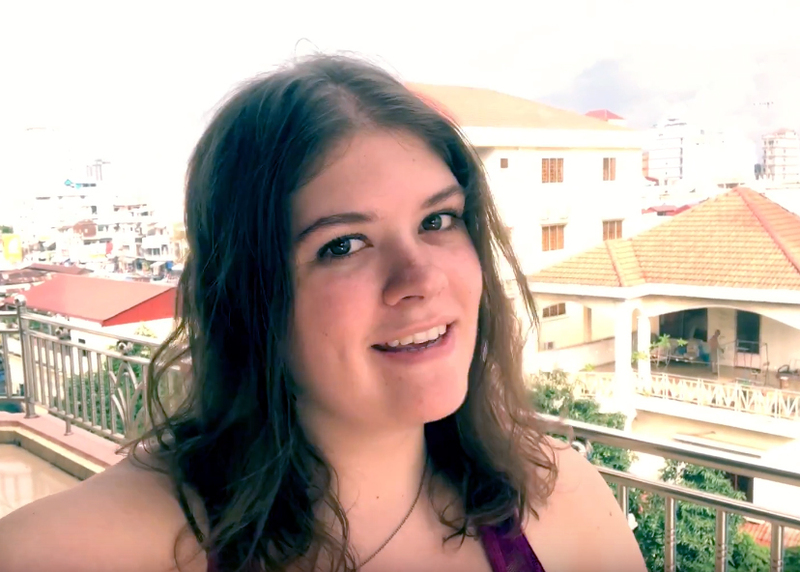 Daly began working with the Halbert Center for Missions and Global Service to research opportunities in Cambodia and connected with Chab Dai, an anti-trafficking organization in Cambodia. Chab Dai focuses on justice and client care, prevention and protection, advocacy, research, collaboration and capacity building. She knew working with Chab Dai in Cambodia, a source, transit and destination country for human trafficking, was the right choice. “Basic human rights and empowerment has always been something I felt passionate about. It is a mission I am driven to be a part of. We were never meant to live as slaves, in any sense of the word, and the first step in freeing people is to meet their basic needs and to be advocates for them." Daly is completing a 13th-month term at Chab Dai, where she generates media content to educate people about human trafficking and exploitation. Her work includes creating and printing booklets and writing blog posts from the field, and she’s also been able to spearhead a research project that examines what vocational trainers are teaching their clients, who are either trafficking survivors or at high risk of being trafficked. Daly and her team then compare their findings to what businesses in Cambodia are looking for in employees. The overlaps and gaps allow Chab Dai to better equip future training programs. “We do this so we can help give people the best chance at finding a job and empower them as they reintegrate into society after everything they’ve been through,” Daly says. The issue of human trafficking and the response to it can be very complicated and intricate. But the triumphant moments Daly experiences outweigh the overwhelming nature of Chab Dai’s work. Read more about Daly’s adventures on her blog.